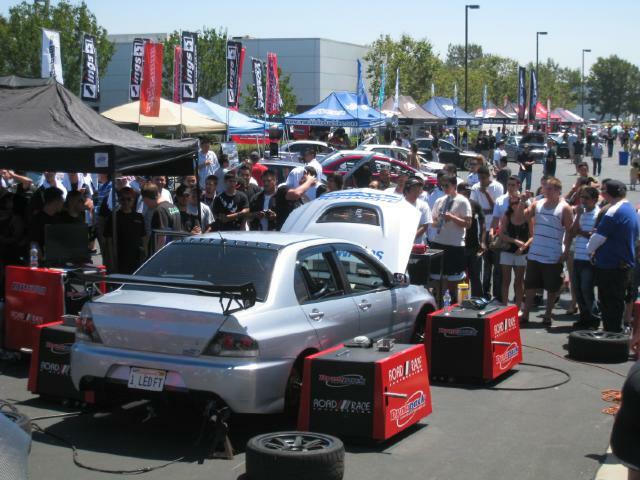 Every year in July Mitsubishi Motors North America throws a huge party at their Cypress CA headquarters to celebrate and thank Mitsubishi owners from all over the West Coast. RRE has been there every year since the beginning. The event attracts about 3,000 people that start showing up to get a good spot as early as 2am. 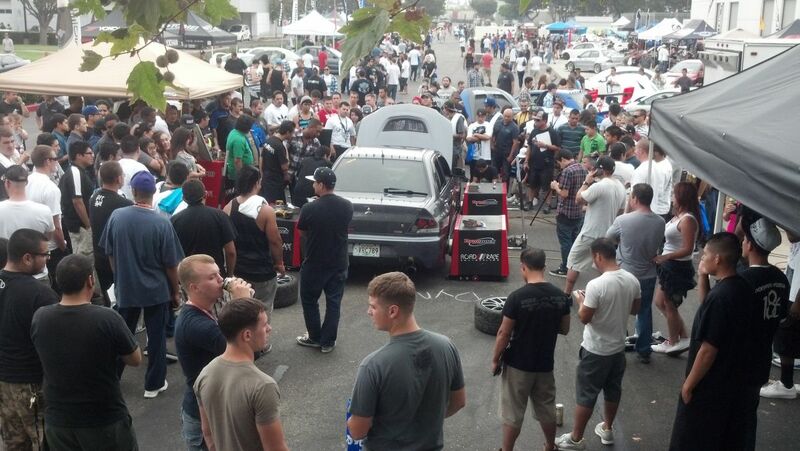 There is music, free food, raffles and every year of every Mitsubishi to look at. We have time to dyno 5 or 6 cars from the time MOD gets rolling at 9am and when they start the raffle at noon. This year there were a couple big guns going for record numbers so everyone was a little shy to get on the dyno. 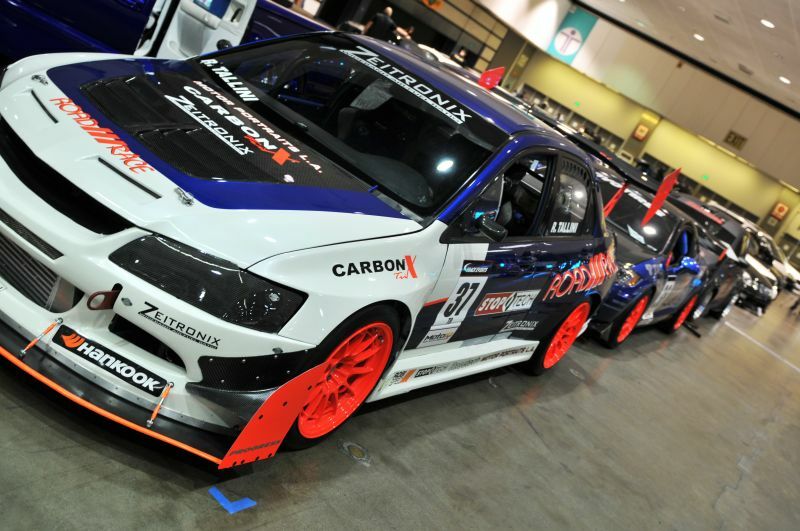 So John Mueller put his blue EVO 8 road racing car on to get things rolling. 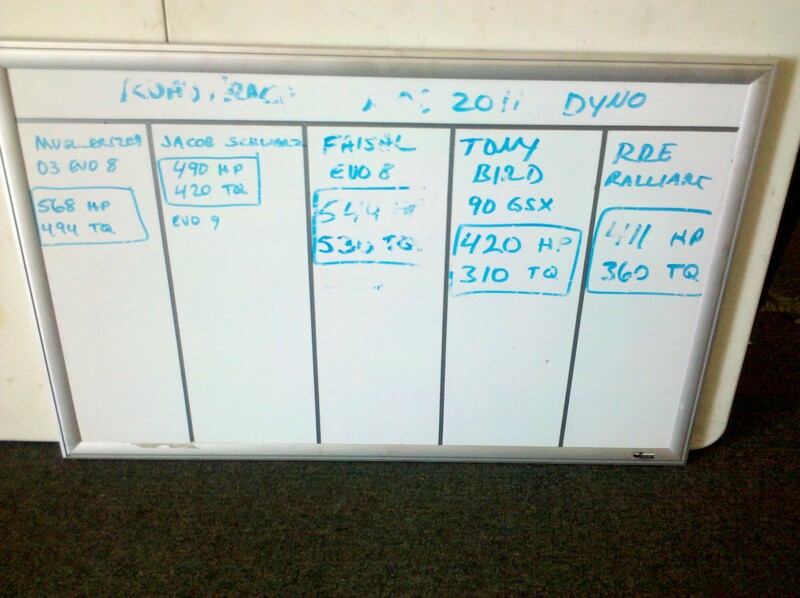 Chris, Matt and FNG Bin were busy busting the cars on and off the dyno in the sun. 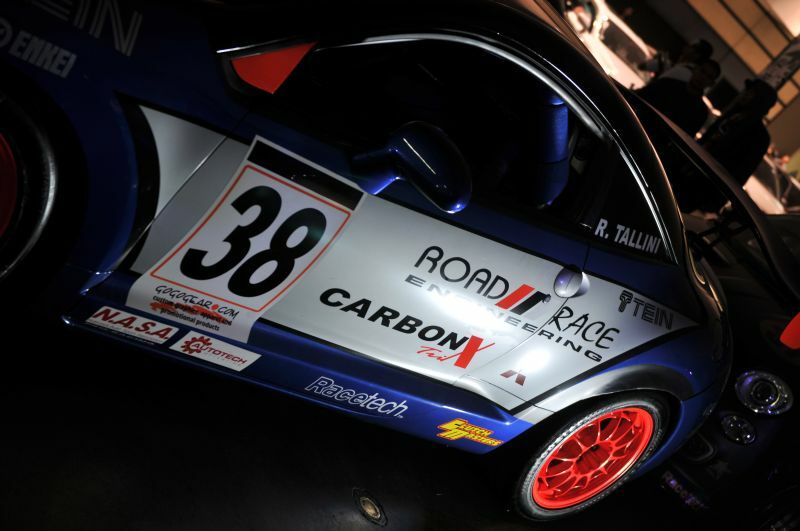 For the big numbers it was between Atif tuned by English Racing and Albert tuned by Reese Tuning. All CT9A chassis. No EVO Xs stepped up this year. 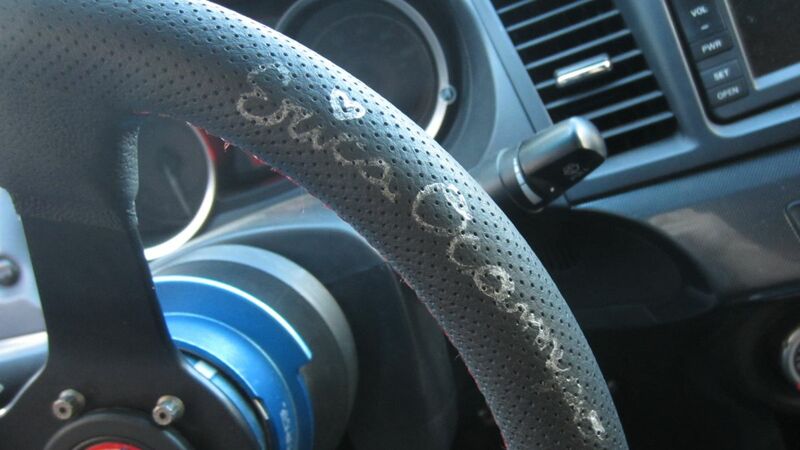 We always save a spot for a good running EVO X, DSM or 3KGT. 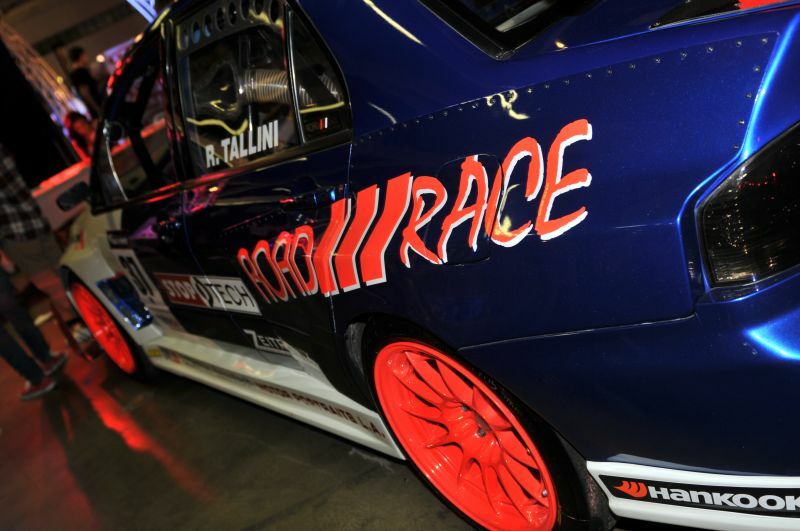 2nd Place Albert Tuned by Reese Tuning – 912 whp and 693 ft lbs of torque. Turbo is a FP/Tial 67mm “Super 94” on a 2.3 bottom end. 3rd Place Muellerized Tuned by Sam @ RRE – 470 whp and 425 ft lbs torque. Turbo is a ball bearing BBK on a 2.3 bottom end. 1st place got a set of Motegi wheels, 2nd place got a set of Nitto tires, 3rd place got a Zeitronix wide band kit. 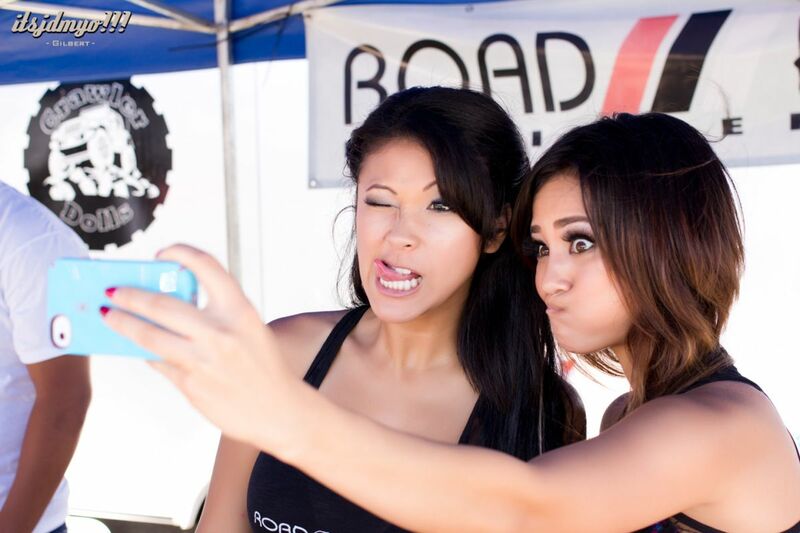 Erica Nagashima and Erica Ocampo are always a crowd favorite at the RRE compound. Lots of opportunities for fans to take pics with them, get autographs signed and some free RRE swag passed out. To kick off the partnership with Jet Black Racing and JemFX, we invited model Erica Ocampo and photographer Fernando Escovar to the shop to get some awesome promotional shots of the Jet Black Racing/JemFX car, and support some of our sponsors, Lucas Oil. It was an early morning, but it was all worth it. Erica showed us all the power of a good energy drink! The guys got in on the action, and Fernando was able to get some awesome shots. We’ll be using some of the shots to create a poster for MOD, so if you’re headed to Mitsubishi Owners Day, be sure to swing by and pick one up. Erica will be there to sign posters and take plenty of pictures. Gary from Motegi Racing asked us to use the shop after hours to shoot some pics for their upcoming calendar and FD Posters. Ummm…. sure! Dont have to ask us twice! :-) Olivia Korte (Rockstar Energy Drink girls) was in front of the camera with makeup and hair by Elfie Simon. Watching Aaron Okayama with the setup, shooting and lighting was a treat. Oh yeah, there was a car, almost forgot. Looking back at the video I guess it was blue or something. A cold and rainy day couldn’t stop us from having fun at the Nitto Tire Auto Enthusiast Day held at the California Speedway this weekend. Warm clothes, great music by Jarod De Anda (Voice of FD) helped us to keep our spirits up make the best of the weather :-) . It was great to support all our friends (rain or shine). RRE model Ashley Clark braved the wind and cold to help us out. 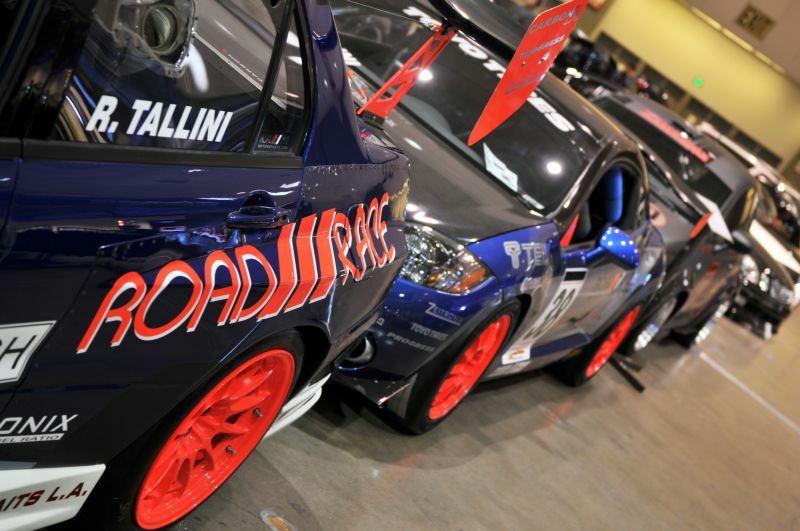 We had Roy’s Godzilla GTR, Coco Zurita’s EVO X, Matt Dennison’s EVO 9 all on display. Also From Rob Tallini’s RRM next door we had the Fiat Abarth for people to check out and of course the RRM Jeep Rubicon on hand incase the weather got out of control! Another MOD and another great event as usual. 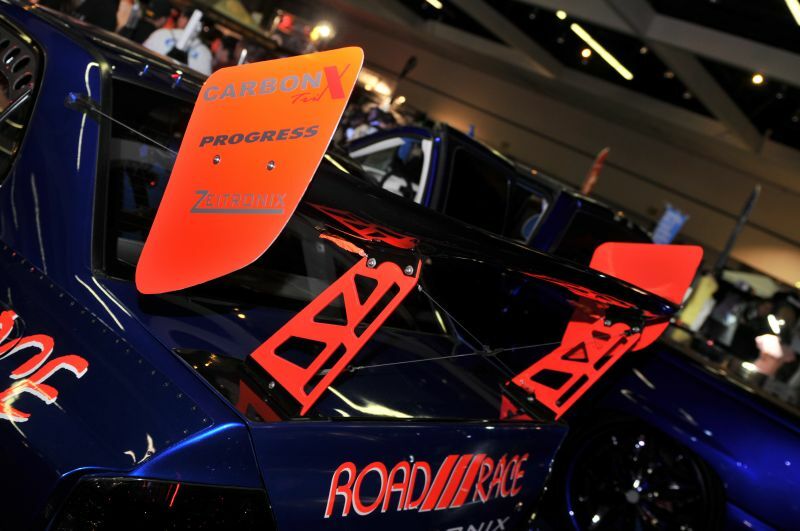 We brought cars, the RRE Girls, the RRE Dynapack AWD Dyno Contest, parts displays, shade, robots, a kid’s play area and more shade for the July heat. 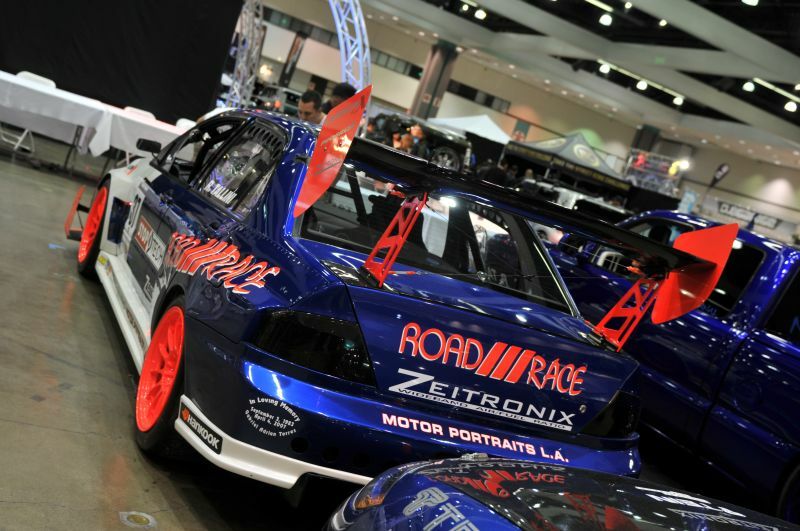 We teamed up with our partners Road Race Motorsports and Zeitronix to fill out the Road Race Pavilion with non stop action. We pulled out all the stops this year. Rossy scored a coup and got Danielle Lo and Erica Ocampo from two of our recent DSPORT cover cars along with our regular RRE models Holly Lee and Michele Yee to come out. Danielle and Erica were signing magazine covers of their respective shoots with Ben Denkers’ red EVO 8 RS and Tim Smith’s blue EVO X. 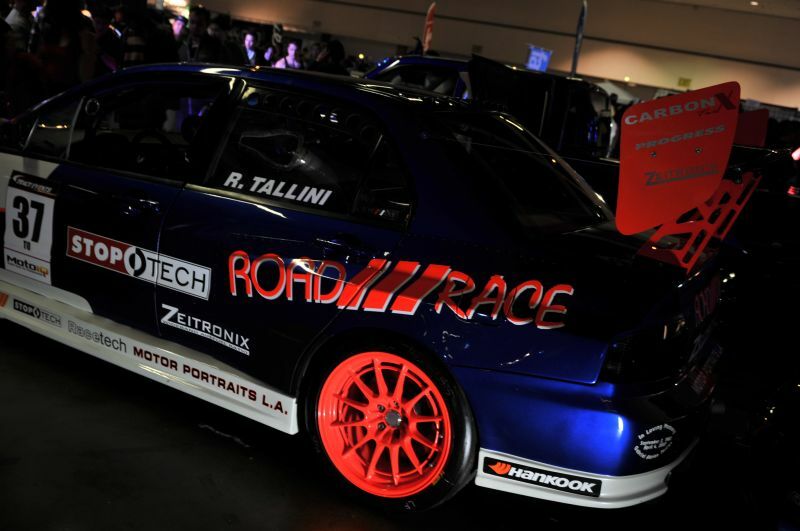 Road Race Engineering teamed up with Mr Ticket and went to Hot Import Nights at Pomona Fairplex recently. 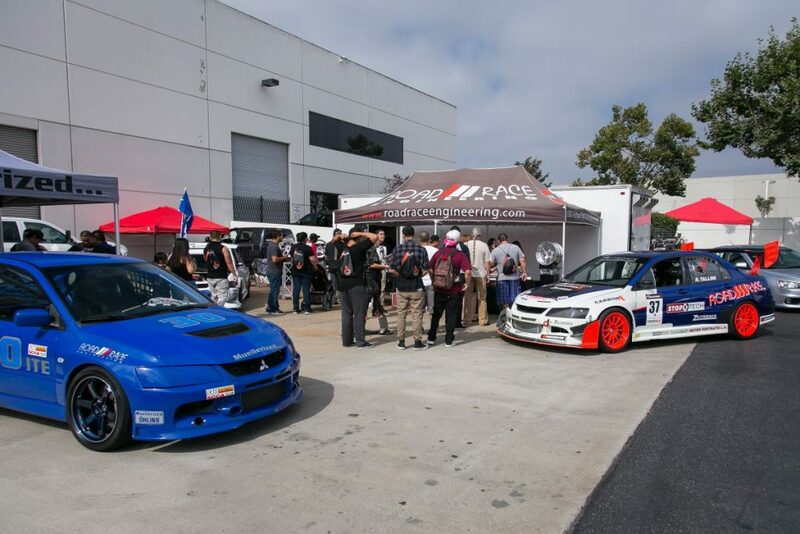 This was the first HIN event of the year and we brought the RRE 4G Eclipse GT as well as Tim Smith’s EVO X GSR which won second place in the four door class competition. Tim’s GSR was recently featured in DSport Magazine. RRE model Natalia Marie was with us to keep the peace and deal out a little street justice where necessary. Here are some pics of the RRE compound at MOD 2011. 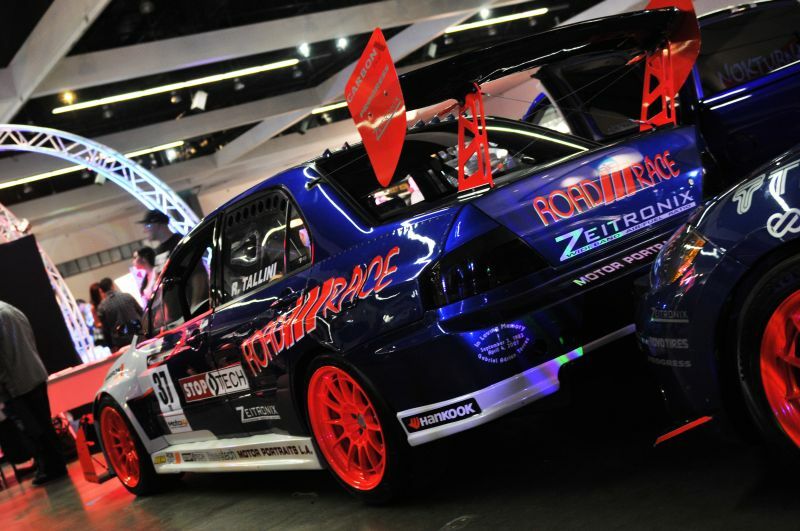 As usual we brought out our race cars, some show cars, the RRE Dynapack AWD Dyno and special for 2011… the Michelles!